“The challenge is tackling the problem in such a way that an elected official wouldn’t be characterized by political opponents as somehow favoring one class over another,” Joy says. The current maximum benefit for someone retiring today totals $2,788 monthly or about $33,500 yearly, according to the Social Security Administration.3 Thinking about this another way, Social Security only replaces 40% of an average employee’s compensation.4 How to account for the rest? That’s where a financial plan becomes vital. 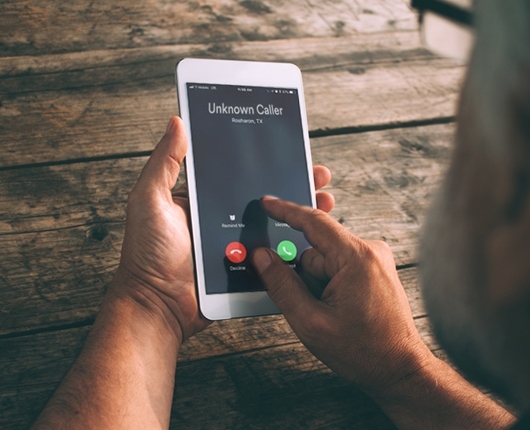 According to recent Ameriprise research, 7 in 10 retirees report that Social Security is a very or somewhat important factor in their retirement income.5 Here are answers to some of the most frequently asked questions around planning for Social Security benefits. Q: How does your advisor incorporate Social Security benefits into retirement planning? A: Our Confident Retirement® approach is designed to help you ensure you can cover your expenses, and planning for essential costs is the first step in that process. We want to make sure you have income sources that are stable and somewhat predictable for expenses such as housing, health care and food. In many cases, Social Security income won’t be enough to support essential expenses. An advisor can work with you to create a strategy designed for a steady income stream made up of lower-risk assets to supplement your Social Security benefits. View the tables below to find out when you’ll be eligible for your full Social Security benefit amount and how collecting early or waiting can impact your benefits. For more information, go to the Social Security website. 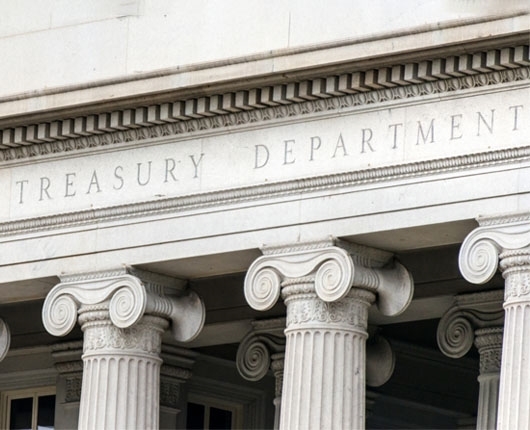 Q: Is it wise to delay collecting Social Security in order to claim a higher monthly benefit? A: Postponing Social Security withdrawals beyond your FRA does mean higher monthly benefits in the future. 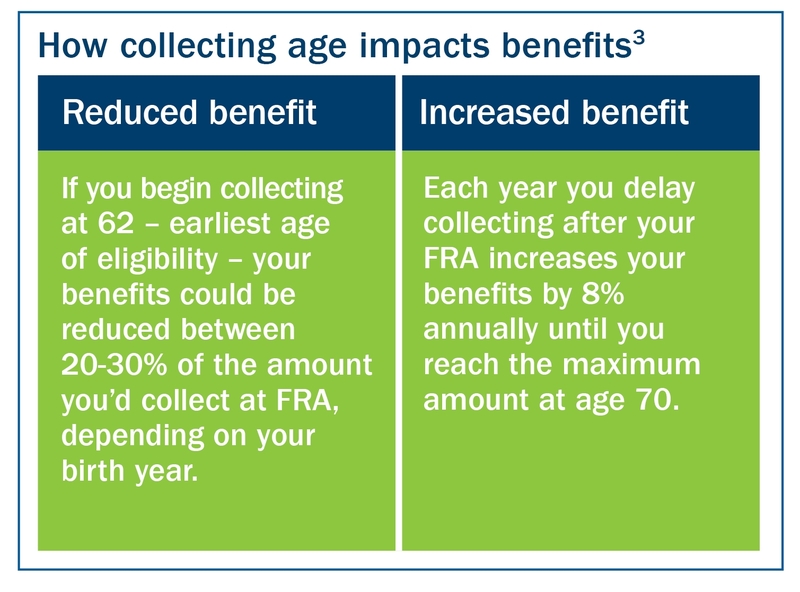 For example, if your FRA is 66, each year you delay collecting would increase your benefits by 8% until you reach the maximum amount at age 70. That said, delaying collecting Social Security may mean dipping into your other assets more extensively to fund your retirement — even if Social Security only makes up a small portion of your retirement income. 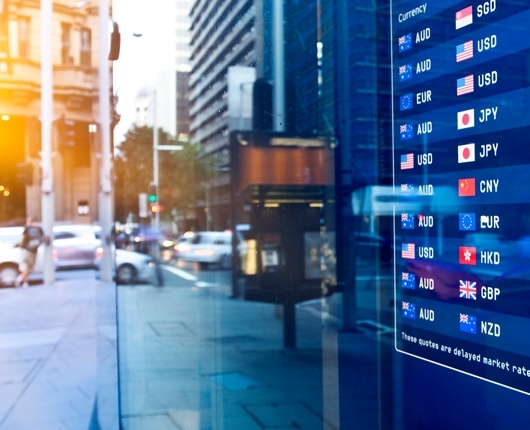 Ameriprise advisors have advanced Social Security planning tools that can show what delaying withdrawals may mean for your overall retirement portfolio and other assets. To help examine the pros and cons of deciding when to collect Social Security, let’s look at a scenario with three fictional characters, Emily, Tara and Lucy, who have a similar benefit eligibility framework. 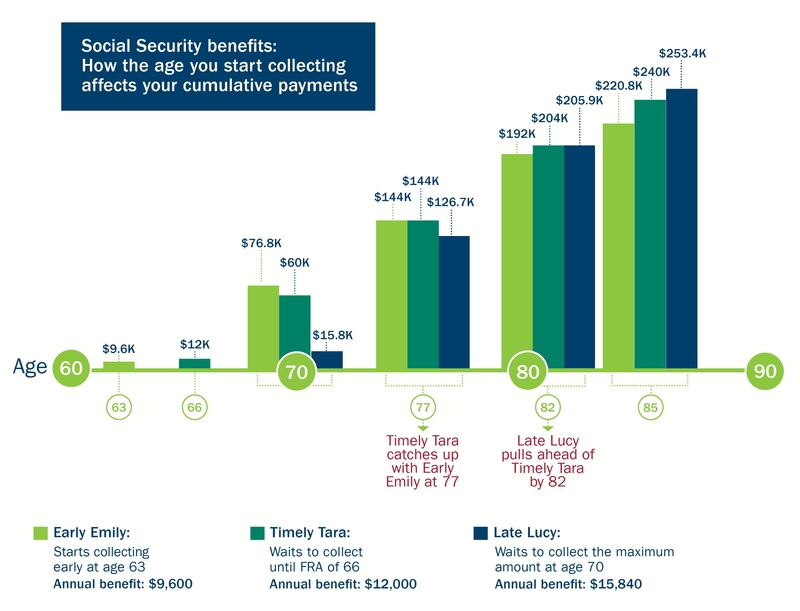 Emily begins receiving Social Security benefits early at age 63, Tara waits until her FRA of 66 and Lucy delays collecting until age 70 to receive the maximum amount. Note that Emily, Tara and Lucy share the same birthday, earnings history and Social Security benefits at FRA with an annual benefit of $12,000. At 63, Emily’s early annual benefit is $9,600. At 66, Tara’s FRA annual benefit is $12,000. At 70, Lucy’s maximum annual benefit is $15,840. What’s the difference between the total benefits these individuals receive? Does one person come out ahead? 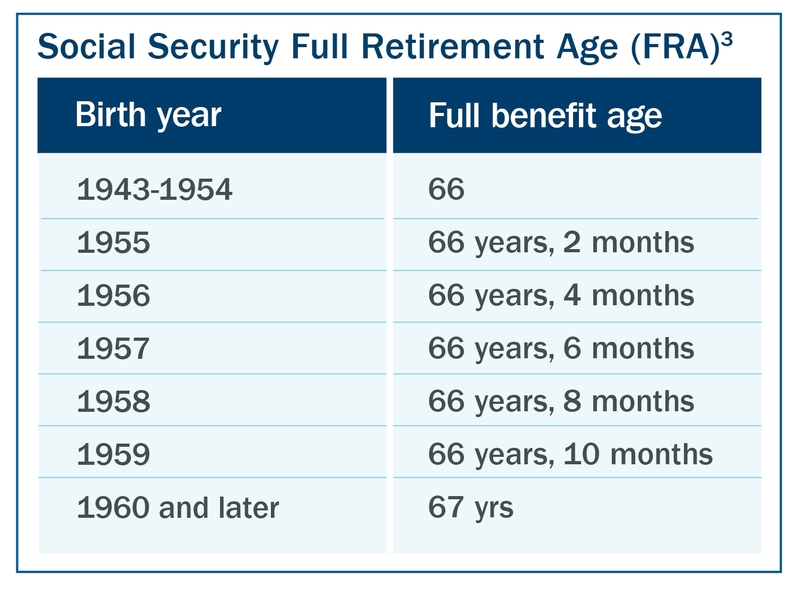 As the table below illustrates, it depends on a variety of factors specific to the situation, including whether you are able to retire early and your expected length of retirement. Q: What are some of the other variables that influence the decision of when to collect? A: A lot of factors go into determining when you may want to begin collecting benefits, including marital status, family health history, and whether you can afford to defer collecting. An advisor can help you factor in other assets or income sources outside your overall portfolio, such as rental income or business partnerships, which can really change the equation. 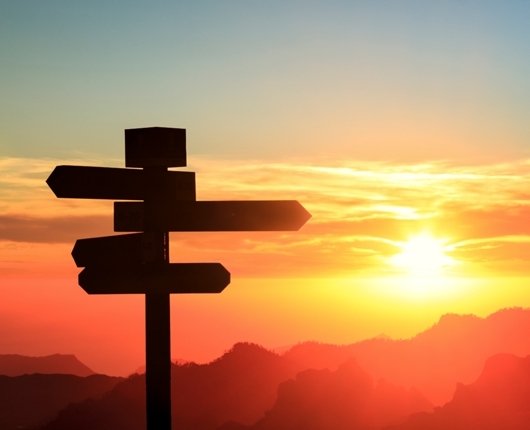 Q: How can pursuing an encore career or part-time job impact your Social Security? If you’re younger than your official FRA for the entire year you’re working, $1 will be deducted from your Social Security benefit payments for every $2 you earn above the annual limit of $17,040. In the year you reach FRA, working impacts your benefits to a lesser extent: $1 will be deducted in benefits for every $3 you earn above $45,380 before the month you reach your FRA. After you reach FRA, earnings no longer reduce your benefits no matter how much income you receive. Q: Are there other ways to make up for possible Social Security shortfalls in the future? A: Working with a financial advisor to maximize your savings should be your first line of defense. That said, another way to recreate that extra income to support your goals is to start rethinking the ideal age of retirement. For people in their 20s and 30s, working into their late 60s may be realistic, so the average American may work a few years longer than in the past. Given today’s longer life expectancies, this could still mean several decades spent enjoying retirement. 5 The Making Money Last study was created by Ameriprise Financial, Inc, as part of the Ages, Stages & Money survey, which was and conducted online by Artemis Strategy Group December 8-21, 2017 among 3,019 U.S. adults ages 30-79 with at least $100,000 in investible assets. 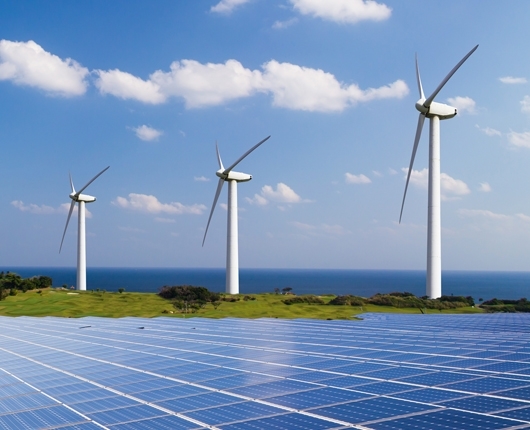 The respondents included 1,075 U.S. retirees between the ages of 40-79 with at least $100,000 in investable assets. For further information and details about the study, including verification of data that may not be published as part of this report, please contact Ameriprise Financial or go to Ameriprise.com/makingmoneylast.